Finally an alternative to roof-mounted solar PV systems! Do you like the idea of electricity from the sun but don't want solar pv modules on your roof or on racks in your yard? Or maybe your roof just does not face the right direction. 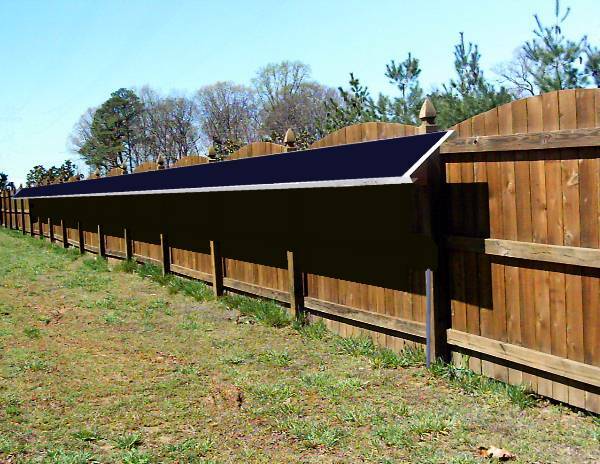 Fence mounted pv modules could be an option for you. 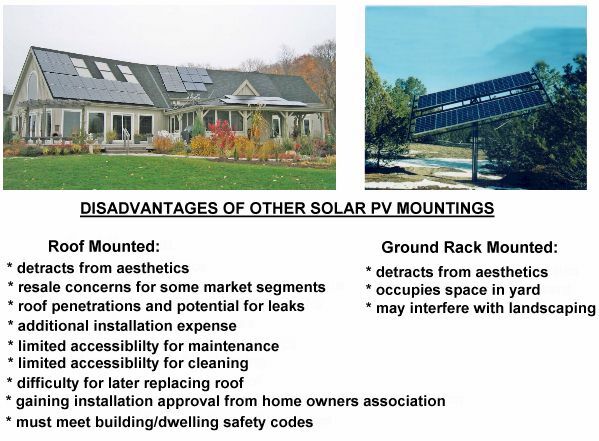 Minimal impact on site aesthetics compared to other types of solar pv installations. May even be invisible from outside fenced area. Easy ground-level installation, no dangerous roof climbing. Simple access for cleaning and maintenance. Mount adjusts from 20° to 70° tilt. Can be changed with seasons. Individual grid-tie inverter with MPPT for each module allows better energy harvesting even if part of fence is shaded. System can be added to as budget allows. Weight (PV module, inverter, mounting) 100 lbs. We expect this product to be available summer 2010. Send us an email message if you have questions or wish to be notified of availability updates.